Do your business involve unmanned operations? Let the customer collect and drop off their keys with a unique, personal PIN. Hotels and youth hostels have long been a major customer group for us. 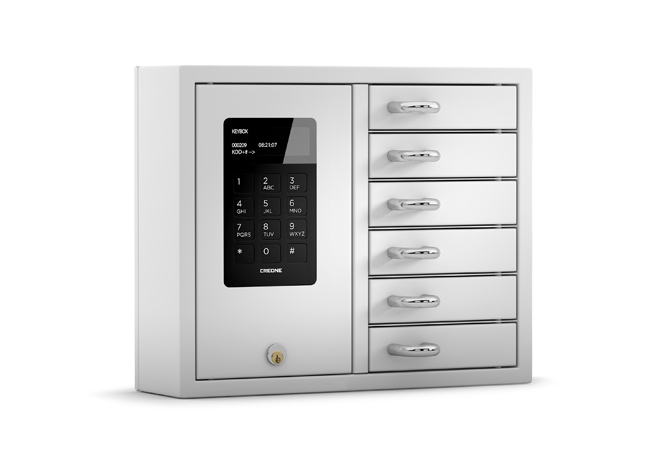 With our KeyBox 9006, guests can collect and drop off their room keys if there is no one at reception. This solution is as simple as it is popular and offers an efficient and secure storage solution for keys. "Key cabinet in the Basic series with 6 small compartments. 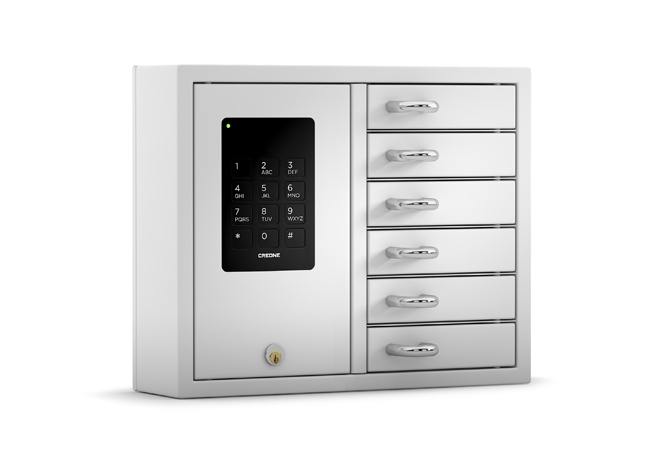 Key cabinet in the System series with 6 small compartments.